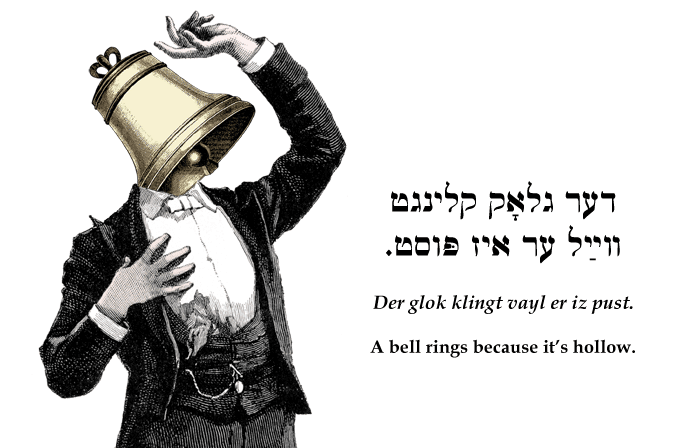 Yiddish insult: A bell rings because it's hollow. דער גלאָק קלינגט ווײַל ער איז פּוסט. Der glok klingt vayl er iz pust. A bell rings because it's hollow.